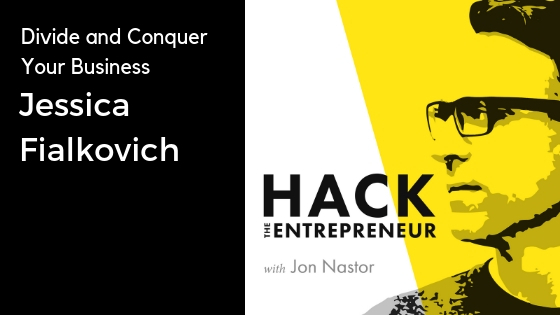 This week our President, Jessica Fialkovich, was featured on an episode of the business podcast, Hack the Entrepreneur with Jon Nastor. You don’t want to miss their fascinating conversation, in which Jessica shares her journey to success as a small business advocate, mergers and acquisitions expert, and entrepreneur. Why business is the best creative outlet. How to divide and conquer the challenges of running a dynamic business. Why multi-tasking is the enemy of productivity. And for more great podcast episodes visit The Deal Board Podcast, hosted by Andrew Cagnetta, CEO of Transworld Business Advisors, and Jessica Fialkovich, President of Transworld Business Advisors - Rocky Mountain. The Deal Board is a place to learn about the best way to sell a business or acquire a new business across a wide variety of industries - new episodes are out every Tuesday!